Dr. Juan Rivera has heard it all before. “I don’t want to give up my comfort foods.” “I can’t handle the hunger pangs.” “You can’t ask me to give up my mojitos!” That’s why Dr. Juan, board certified internist and preventative cardiologist, designed The Mojito Diet, a foolproof plan developed to help you lose weight and improve your heart health, without the roadblocks that make you quit halfway. Based on the latest science, yet designed for real-world results, The Mojito Diet combines principles from the most effective diets—low-carb and intermittent fasting—into a unique and powerful 14-day plan that targets fat without causing carb cravings or hunger pangs. In two simple, straightforward steps, you’ll not only lose weight but also improve your heart health, and be able to reward yourself with a refreshing mojito at least twice a week! 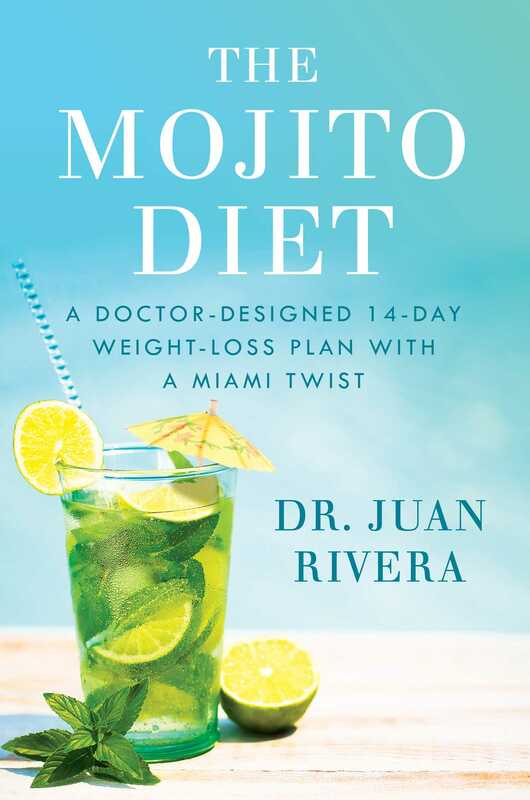 After reaching your goal weight, Dr. Juan eases you into his Mojito Maintenance Plan, designed to help you easily integrate healthy eating habits into your daily routine to keep the weight off con gusto. A recent conversation with Sofia, one of my favorite patients, reminded me of many talks I’ve had with cardiology patients in the past. Sofia, a forty-nine-year-old hotel executive and the mother of three grown children, has a smile that lights up the room. My staff loves her, and she always begins our appointments by asking me about myself and my family. The world would be a better place with more people like Sofia in it. Unfortunately, Sofia has several health problems. She takes an ACE inhibitor for high blood pressure and a statin drug for elevated cholesterol. Although she doesn’t have type 2 diabetes, her blood sugar is higher than I would like it to be. Sofia’s weight had been increasing steadily during the previous few years. During our visit she weighed in at 180 pounds—about 40 pounds over her optimal weight—which for the first time put her into the “obese” category. Comments like these are very familiar to me. As a board-certified cardiologist and internist who specializes in the prevention, early detection, and treatment of cardiovascular disease, I have many patients whose extra weight interferes with their health, their work, and their ability to enjoy their lives fully. And as the chief medical correspondent for the Univision television network, where I host my own weekly one-hour medical show, Dr. Juan, I frequently meet viewers who share their health concerns with me. So many of those who are overweight or obese, like Sofia, worry that symptoms such as shortness of breath, lack of energy, joint pains, and fatigue are warning signs of serious cardiovascular disease. Sometimes they are, but more often they’re simply the result of excess weight. I nodded. Sofia and I had had this conversation before. “I really would like to lose weight,” Sofia explained. “But whenever I look at the diet plans out there, none of them appeal to me.” Sofia said she’d heard that high-protein, low-carb diets work well, but she couldn’t bear to give up bread, rice, tortillas, and the traditional Cuban comfort foods she’d grown up with. She’d also heard about diets built around a strategy known as intermittent fasting, but she didn’t think she could handle the hunger pangs of all-day fasts. I felt myself break out into a huge smile as I reached for a folder from the stack on my desk. I handed her a copy of my new diet, and her eyes lit up when she read the title. Weight Loss with a Miami Twist! I call my weight-loss plan the Mojito Diet not only because the mojito is a popular Miami drink—a favorite of many of my patients, and an excellent reward for weight loss—but because it represents the Latin way of looking at life. The mojito is fresh and bold and effervescent, and so are Latin people. We love to gather with friends and family to celebrate and have fun. Music, dancing, food, and drink are all part of that celebration, as they are for people of many ethnic and cultural backgrounds. The Mojito Diet makes plenty of room for the bold, flavorful, Latin-inspired foods that people in Miami and across the country associate with fun, festivities, and a hot night out on the town. 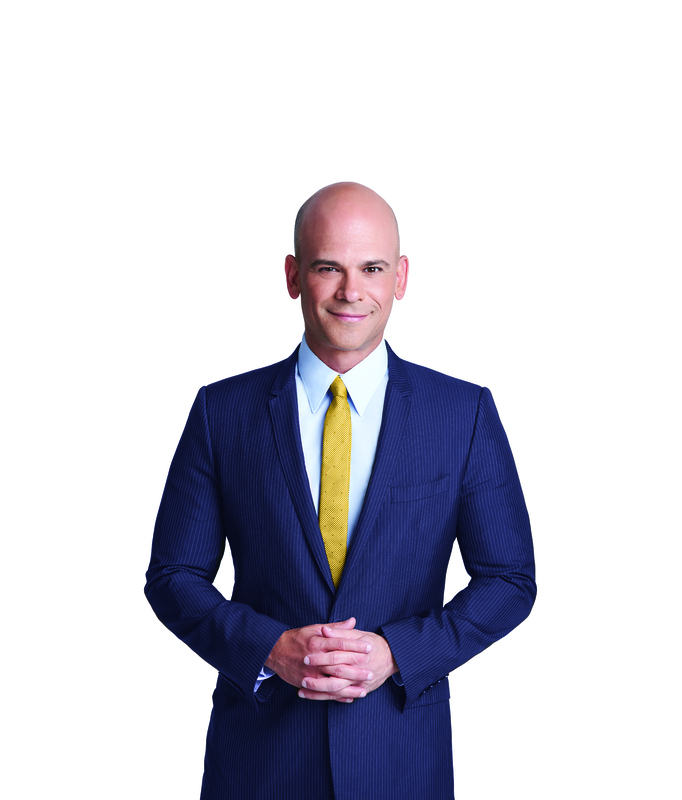 The recipes in my plan include fantastic dishes that reflect the culinary traditions of Puerto Rico, Mexico, Brazil, Cuba, Spain, and other Latin cuisines, as well as foods that can best be described as Miami fusion—combining a Latin influence with a unique Miami twist. And the Mojito Diet embraces the spirit of celebration with a fitness plan built around traditional Latin dancing and other enjoyable activities that you’ll have a blast learning and doing. The Mojito Diet embraces my philosophy of life—that celebration and joy should be a part of our lives every single day, and that making healthy choices can be a pleasure, not a punishment. Being healthy doesn’t have to mean giving up everything you enjoy, or sitting home while everyone else has fun. You can savor life’s pleasures in a healthy way. In fact, the best way I can think of to live your life to the fullest is by taking care of your health—and if you’re overweight or obese, losing weight is the best place to start celebrating your own life. The Mojito Diet is a fourteen-day plan that succeeds because it combines a high-protein/low-carbohydrate plan, manageable and limited intermittent fasting, and the heart-protective principles of the DASH diet. In short, the Mojito Diet starts where DASH (Dietary Approaches to Stop Hypertension) leaves off: dropping all grains and adding extra protein and fewer carbs during Week 1 (Grain Drop) and three nonconsecutive days of sixteen-hour fasting and adding back healthy amounts of whole grains during Week 2 (Clean 16 Fast). And every week, there are mojitos! Research has shown us that higher-protein, lower-carbohydrate diets can lead to significant weight loss. But as many people who have tried them have discovered, these diets can be very difficult to stick with for more than a few weeks, because eating so much protein gets very boring. And people following high-protein diets really miss their favorite carbohydrate-rich grain-based foods, such as bread, rice, tortillas, and pasta. What’s more, as a cardiologist, I can’t get behind any diet that sidelines the vegetables, fruit, whole grains, nuts, seeds, and legumes that countless studies have associated with cardiovascular health and the potential prevention of a long list of diseases, including dementia and some kinds of cancer. Both the DASH eating plan, which has been shown to lower blood pressure, and the MIND diet (a combination of DASH and the Mediterranean diet), which appears to offer protection from Alzheimer’s, include many healthy foods that some low-carbohydrate diets leave off the plate. I can’t imagine turning away from foods that have been so strongly associated with good health—that’s why you’ll find them in the Mojito Diet. In addition, we have seen that diet plans incorporating certain kinds of fasting can lead to successful weight loss as well as health benefits such as a reduction of inflammation and insulin resistance. However, fasting-based diets can be difficult to follow, because it’s hard for people to go for long periods of time without eating. That’s why I’ve created a smart, easy-to-follow sixteen-hour fasting plan—which I refer to as “functional fasting”—that offers the benefits of fasting without the difficulties. Here’s another important roadblock that my eating plan eliminates: I live and practice preventive cardiology in Miami, where people love to party, play, dance, and spend time with family and friends. Asking them to give up the foods and drinks they enjoy, even if doing so may lengthen their lives, is a tough sell. It’s especially difficult to convince them to eliminate alcohol—not because they are alcoholics, but because they enjoy drinking alcohol socially. As you can tell from the name of my diet, I don’t believe that people have to give up alcohol in order to lose weight—in fact, I think it helps you stay motivated when you think of it as a reward. When I designed my diet plan, I decided to include the things that do work, and to leave out the things that make diets so hard to stick with long-term. The Mojito Diet gives you everything you need for weight-loss success because it focuses on the strategies that work while skipping over the roadblocks that hold you back. Quite simply, my diet plan combines three straightforward strategies that not only produce weight loss and improve heart health but are simple enough that you can do them for the rest of your life. Plenty of fruits and vegetables throughout the day, with a special emphasis on the high-potassium produce that helps lower blood pressure, such as bananas, sweet potatoes, citrus fruits, spinach, and many others—even white potatoes! During Week 2 of the Mojito Diet, you’ll follow my Clean 16 Fast, during which you’ll do three nonconsecutive days of sixteen-hour fasts. You will skip breakfast three days of the week (be sure to have your last meal before 8 p.m. the night before). These fasts are easier than they sound, starting after dinner and ending at lunchtime the next day. The Clean 16 Fast is easy to follow, and it has a positive impact on weight loss, insulin resistance, and inflammation. Each day during Clean 16 Fast week, you’ll enjoy a wide range of delicious foods, plus two to three servings a day of bread, tortillas, or other whole grain foods. Yes! Healthy grains are back. Until you meet your weight loss goal, you’ll alternate following the Week 1 Grain Drop plan and the Week 2 Clean 16 Fast. Then you’ll move on to the next phase of the Mojito Diet: the lifetime Mojito Maintenance Plan. Once you reach your goal weight, you’ll shift into my Mojito Maintenance Plan. To maintain your weight loss, you’ll follow a healthy eating plan (including grains) five days a week, Grain Drop one day a week, and Clean 16 Fast one day a week. It’s that simple. Now, the best part: twice a week during Week 1 and Week 2, and three times a week during Mojito Maintenance, you’ll toast your success by rewarding yourself with a refreshing mojito! (Or, if you’d prefer, have another kind of alcoholic beverage or a 200-calorie serving of dessert instead.) Enjoy my favorite Classic Mojito, or choose from among the other delicious mojito recipes included in the book. If you love the refreshing lime-mint taste of mojitos but would rather skip the alcohol, pour yourself a refreshing glass of my Mojito Water. No grains! Cut out all breads, rice, pasta, tortillas, and other grains for one week. Eat high-protein foods and high-fiber fruits and vegetables at every meal and snack, plus healthy fats. Measure your food to learn about healthy portion sizes. Reward yourself with two mojitos! Drink plenty of water or make my special Mojito Water. On the Clean 16 Fast days, eat a regular lunch and dinner. Eat grains again! Have two to three servings of whole grains each day. Continue to eat high-protein foods, healthy fats, and high-fiber fruits and vegetables at every meal. Don’t make up for skipped breakfast by eating more at lunch, snack, or dinner. Continue to drink Mojito Water while you fast to fill you up and flush out toxins. After that, continue cycling through the Grain Drop and the Clean 16 Fast, week by week, until you reach your goal weight. Then move on to the Mojito Maintenance Plan. Eat a healthy diet five days a week. Follow the Grain Drop plan one day a week. Follow the Clean 16 Fast and skip breakfast one day a week. Add extra Grain Drop days if you start to regain lost weight. Reward yourself with three mojitos! If you watch Univision, America’s largest Spanish-language television network, you already know me: I’m Univision’s chief medical correspondent, and the host of Dr. Juan, a weekly one-hour health program. I also cocreated and hosted the show Strange Medicine and have appeared on other shows on Univision as well as on Telemundo, another Spanish-language network. You may also have seen me in my WebMD video series, My Abuelita Told Me, or during my appearances on Good Morning America. I was born and raised in Puerto Rico, where I had an amazing childhood, surrounded by a tight-knit extended family of grandparents, aunts, uncles, and cousins who were like brothers and sisters to me. Working hard in school was the top priority in my family—in my parents’ minds, the only question was whether I would become a doctor (as my mother, a social worker, wanted) or an attorney (like my father). When I started medical school at the University of Puerto Rico, I still wasn’t quite sure I wanted to be a doctor, and even as I studied classroom-focused subjects such as anatomy and embryology, I questioned my choice. But my interest grew as I started learning about the secrets of the body’s physiology, and once I began doing clinical rotations and working directly with patients, I fell in love with medicine. I am a true “people person,” and my favorite part of being a doctor is engaging with patients. I did my residency program in internal medicine at UT Southwestern in Dallas, and was then accepted to the prestigious cardiology fellowship program at The Johns Hopkins Hospital in Baltimore. I started at Johns Hopkins with the goal of becoming an interventional cardiologist. These doctors are the medical superheroes who dramatically save the lives of heart attack victims by performing emergency cardiac catheterizations. As a cardiology fellow, I helped do many of these procedures. During an emergency catheterization, we thread a thin tube into the femoral artery in the patient’s leg and guide it through the body to the chest. Using a tiny balloon, we carefully open the blockage in the patient’s heart, making it possible for oxygenated blood to flow through the body. Sometimes we implant a stent to keep the blockage from recurring. Performing successful emergency catheterizations is amazing because they can instantaneously save the lives of patients who are just minutes from death. To save a life in this way is an astonishing experience. However, the excitement I first felt in the cardiac catheterization lab soon disappeared as I realized that I wanted to do more than just rescue heart attack victims from an imminent death. I wanted to help patients earlier—not when they were moments from dying of severe heart disease, but years before that, when they still had time to make lifestyle changes that would protect their hearts and their health long before they suffered heart attacks. I didn’t want to do catheterizations; I wanted to prevent them. So I decided to become a preventive cardiologist and to shift my focus from heart attack treatment to heart disease prevention and early detection. It was a decision that changed the course of my life and helped make me who I am today. And it is the reason I have written this book. I want to show you how to lose weight, improve your health, and stay out of the catheterization lab! I’m a cardiologist and internist with a private concierge practice in Miami Beach. I love my patients, who include business executives, athletes, political leaders, and celebrities from the United States and all over the world. However, when I decided to specialize in heart disease prevention, I also set a very ambitious goal: To help as many people as possible—not just my own patients, but many other people as well. My number-one value when it comes to medicine is prevention, and having grown up attending Jesuit schools, I am driven by the ideal of service to others. That’s why, when I was presented with opportunities to connect with large numbers of people through television and the media, I jumped in with both feet. I love that television allows me to reach so many people—for example, at Univision, I created Reto 28, a twenty-eight-day diet plan that helped four hundred thousand viewers lose more than a million pounds in one month. It was the most successful community initiative in Univision history. My passion is helping people live better, healthier, happier lives. With my work on television, as well as two bestselling health books and a large social media presence, I’ve made great progress helping people improve their heart health. Now, with The Mojito Diet, I’m hoping to reach even more people, especially the millions of Americans who are overweight or obese. My message is universal. Heart disease, high blood pressure, and diabetes strike people of all cultures and all backgrounds. These diseases kill more Americans than any others, yet they are surprisingly preventable. Everyone can take simple, important steps—such as losing weight—that can reduce their risk of disease and improve their chances of living a long, healthy life. One of the best first steps is to start embracing weight loss as an incredible opportunity, rather than a punishing deprivation. You can be happy about being on a diet, because it has the potential to reward you not only with a longer life, but with a greater measure of energy and enjoyment as well. It really is a celebration of life. By following the Mojito Diet, you can lose weight, improve your health, and have lots of fun along the way. You can eat foods you love, and look forward to rewarding your progress with celebratory mojitos. And count on this: As you set out on your journey to a healthier weight and a better life, I will be with you every step of the way.